Hello, We are Mary and Robert. Welcome to new lodge at Heritage Park. 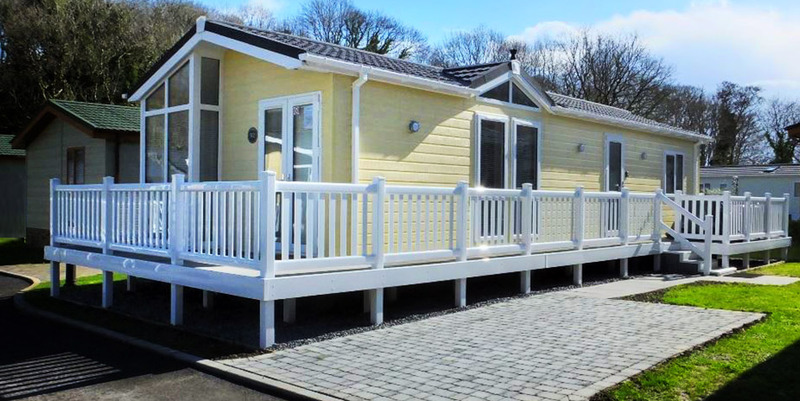 We have both always loved all the wonderful coastal views and areas around Wisemans Bridge, Coppet Sands, Saundersfoot and Tenby and have had our own lodge in the area for a couple of years. When we are not at the lodge ourselves we let the lodge out to holidaymakers. That was our first lodge ( Number 18 ) which has proved so popular we have now added a new second lodge number 92, so we now have two beautiful holiday lodges for you to rent at the lovely Heritage Park at Pleasant Valley, Narberth in Pembrokeshire, it’s just a 15 minute walk to Wisemans Bridge or a few minutes drive to Saundersfoot or Tenby. Lodge 92 is perfect for short breaks or a wonderful couple of weeks away and is perfect for couples and families up to 4 people. You will enjoy a relaxed and peaceful stay near Saundersfoot at any time of the year. Our aim is to offer the highest quality self-catering lodge holiday accommodation available anywhere, and frequent visitors tell us they went WOW the moment they stepped inside. Our lodges are always kept in perfect condition and are very well appointed so that your stay is as comfortable as possible. All rentals include Gas, Electricity, Water, Bed Linen and Towels. There is a lovely decked area with patio furniture. There is no smoking or pets allowed in this lodge. 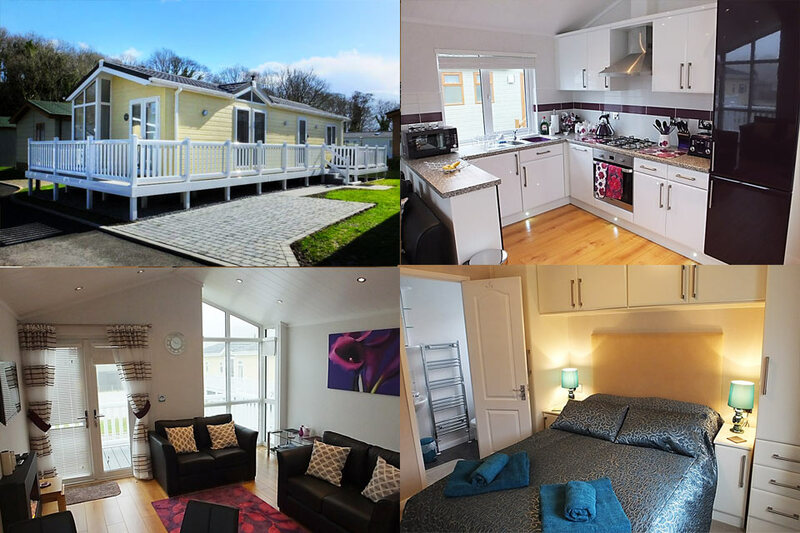 A superb luxury two-bedroom holiday lodge at Heritage Park, in the outstanding surroundings amid the dramatic and inspirational Pembrokeshire coast. Lodge 92 offers, Large open plan lounge, dining area, and kitchen with ample natural light from large windows, Central heating and a vaulted ceiling. The Lounge has a Flat screen Freesat TV, Cd-radio with mp3 connection. Two 2-seater settees and a nest of tables, and coffee table. The Dining area has an attractive glass table with 4 dining chairs. The main bedroom has a double bed, two wardrobes; two bedside cabinets with lamps and over bed storage lockers. The Ensuite has a toilet, wash hand basin, shower and heated towel rail,bathroom cabinet, mirror and shaver point. The second bedroom has two 3ft single beds a bedside cabinet with touch lamp, a wardrobe with drawers under and a chest of drawers. The main shower room has a large shower cubical, wash hand basin, heated towel rail and toilet, bathroom cabinet mirror and shaver point. There is parking for one car to the right hand side of the lodge. Rent is inclusive of gas, water, electricity, bed linen and towels. See the video of Lodge 92 and our location below.